Eddi & Ryce Photograph Second Life: Tomorrow is the 200th Birthday of the Star-Spangled Banner. Look for the Great Fireworks Show and Reenactment on PBS Tonight. Tomorrow is the 200th Birthday of the Star-Spangled Banner. 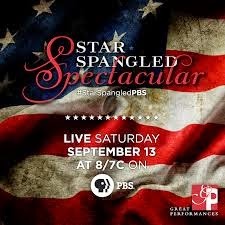 Look for the Great Fireworks Show and Reenactment on PBS Tonight. The Star-Spangled Banner, the National Anthem of the United States of America, was penned 200 years old tomorrow, September 14, by Francis Scott Key in Baltimore, Maryland. Mr, Key was inspired to write the anthem after observing the flag of the United States of American flying over Fort McHenry in Baltimore after a huge bombardment by the British Navy .. The United States would win that battle and defend the city of Baltimore from a British invasion and probable destruction. 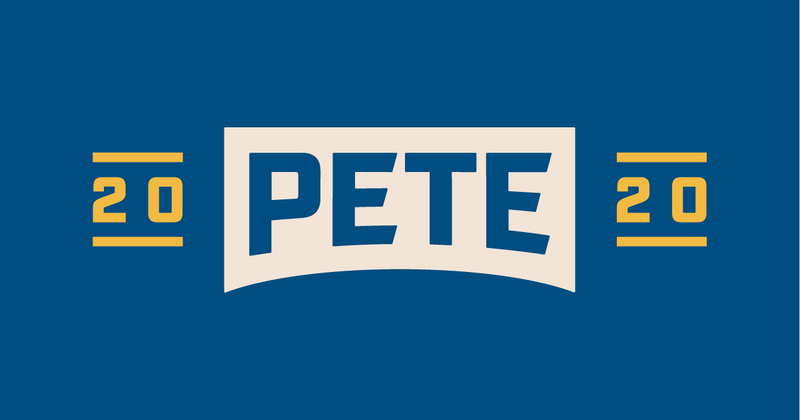 There will be a concert and fireworks show, and reenactment of that famous night, to celebrate the event broadcast live tonight from Baltimore Harbor (delayed for the West Coast) on PBS Television beginning at 8:00 PM EST. 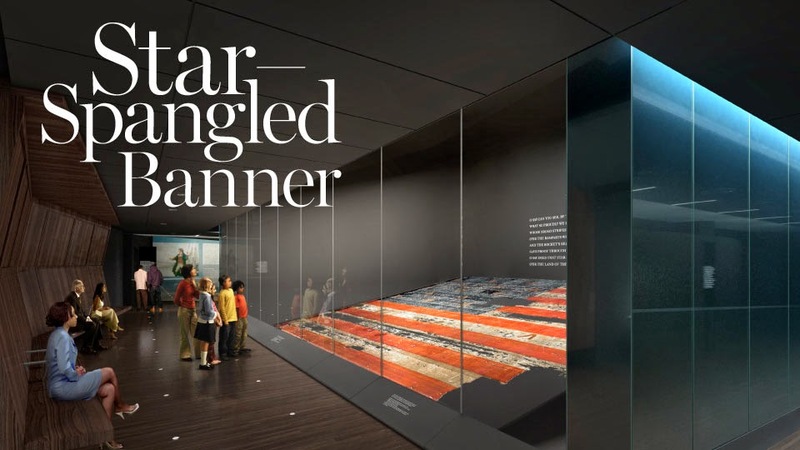 Check your local listings for details in the U.S.A.
can be seen at The American Museum of National History in Washington D.C.
What is the background of the Star-Spangled Banner? The U.S.A. and the Great Britain. went to war a second time (after the American Revolution) in June, 1812. In September, 1814, the British Navy sailed up the Chesapeake Bay and tried to capture the important city of Baltimore, Maryland. 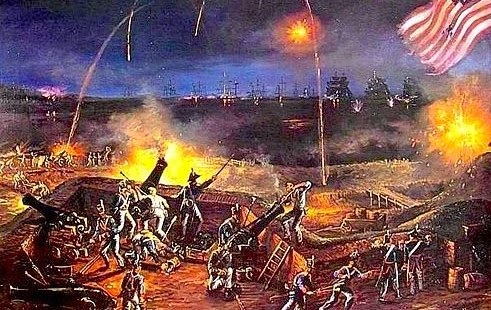 They needed to defeat the American forces occupying Fort McHenry (which can be visited today) outside the city -- and launched a huge cannon bombardment on the night of September 13. However, they failed to defeat the American forces and withdrew their ships. 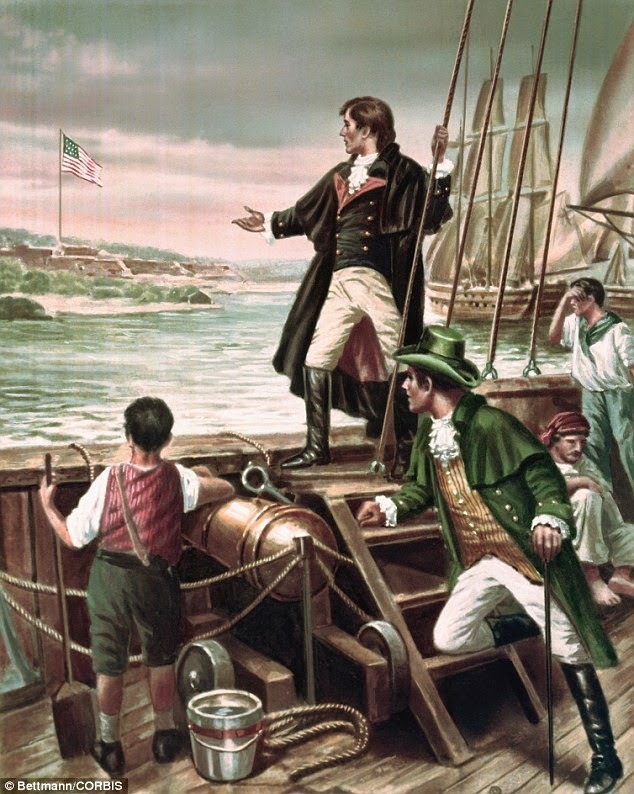 Francis Scott Key, a Baltimore author and lawyer was aboard a British warship watching the battle that night (he was part of a prisoner exchange program). He heard the horrific battle and was not sure if Fort McHenry would hold out against the British bombardment. He woke up the next morning, and saw the U.S. Flag -- the original Star-Spangled Banner - which can be visited today in Washington, D.C. - still flying. He was hugely inspired and would go on to write the poem, The Defense of Fort McHenry, the following week. He intended the poem to be sung to a popular British tune, John Stafford Smith's "To Anacreon in Heaven", which resulted in the song "The Star Spangled Banner". The song would go on to become the national anthem of the U.S.A.. The first stanza of The Defense of Fort McHenry talks about the Star-Spangled Banner and is the one sung these days.